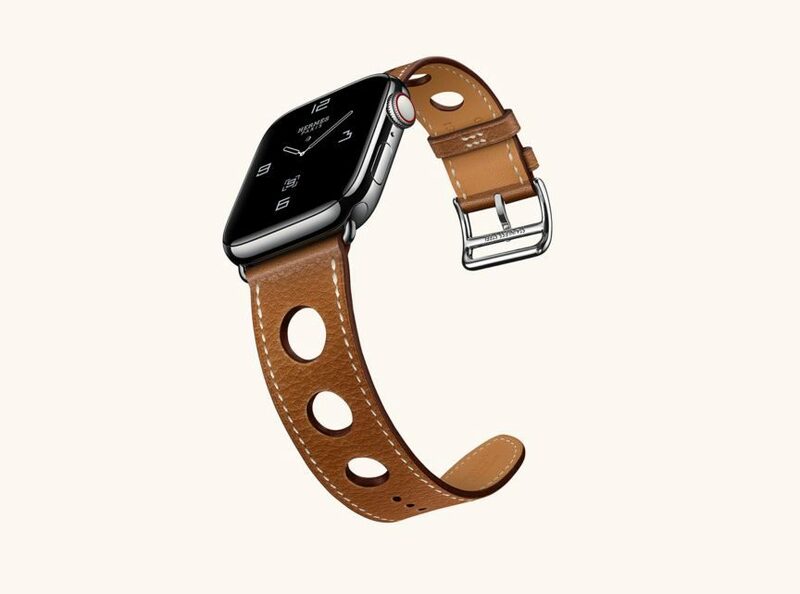 In all the chaos happening around Apple iPhone XS, XS Max, and XR, there is a silent peak started at the latest Apple Watch Hermès Series 4. The price ranges from $1,249 with varied designs and leather, which includes Stainless Steel Case with Orange/Indigo/Craie Swift Single Tour band. The closed box itself starts with the premium and appealing look to the buyers. Unlike other normal boxes in square share, they prefer to present in a wide rectangle shape box. The box has two segments, one dedicated primarily for the watch with components and another end with the folded leather inside it. The components include a magnetic charging puck and a 5-watt wall charger. 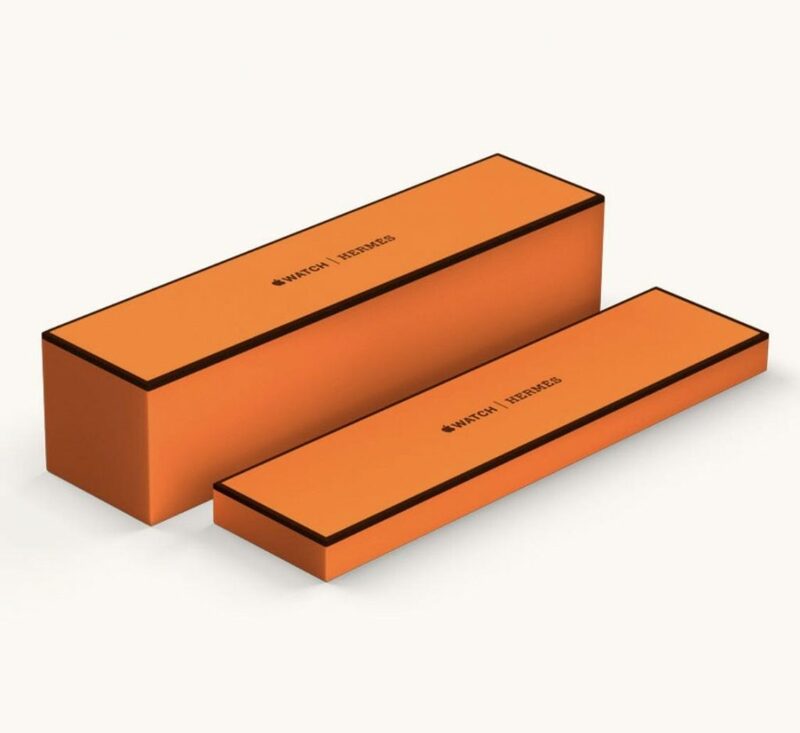 As said at the launch, all the Apple Watch Hermès Series 4 will have bundled leather alongside with a sporting orange band as a compliment. 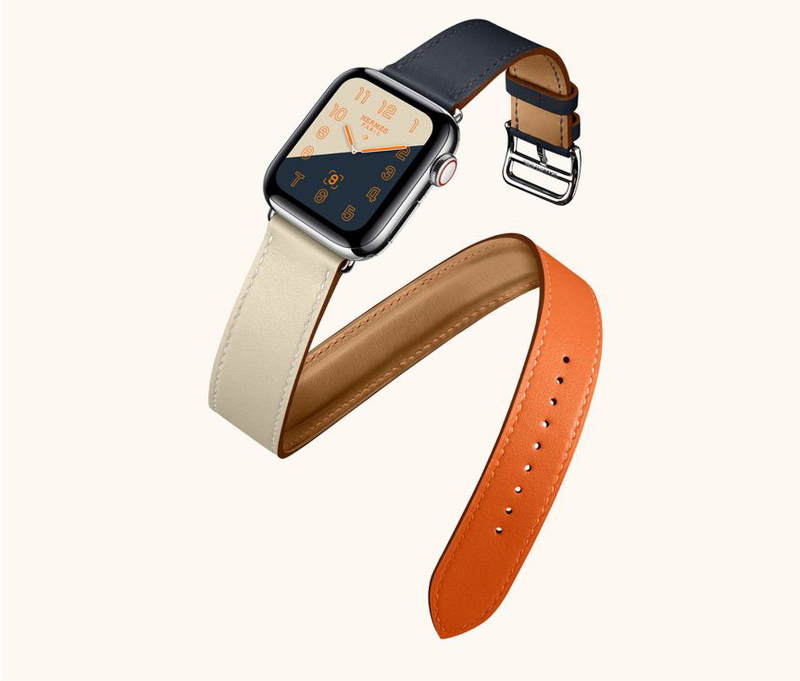 The Indigo/Craie/Orange and Indigo/Craie (off-white) bands are available for this AppleHermes watch series 4. As previous Hermes editions watch face, change the typeface of the face, the centre complication, the number of digits displayed, and style/colour. 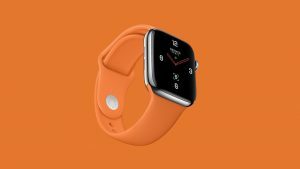 Though the basic apple watch series 4 starts at $399, the Hermes edition lands perfectly for 4 digit price at $1250 Approx.